Get the best plants for your Gulf Coast garden at our largest plant sale of the year! Plant list posted 2 weeks prior to sale. Parking – Parking attendants will guide you to a parking spot in the lower field. Shuttle service – Multi-passenger golf carts will be running throughout the Sale Days. You can ride from your parking spot to the Sale at MarketPlace, SHOP, then ride back to your car before going through the Loading lanes to pick up your plants. Entrance to the Sale grounds will be through the open-air retail building. Free admission Friday – Sunday. Carts will be provided by MBG (select the size you need). If you prefer to bring your own cart, notify the parking attendant when you arrive so you can drive up & drop the cart at the sale before you park. Plants will be arranged by categories – look for signage throughout the grounds and ask assistance from Master Gardeners and other Volunteers wearing green aprons or MBG vests/shirts. Large Holding Area allows you to select plants and place them in Holding with your name while you return for more shopping or just to look around. Carts are a premium, so please use this Large Holding resource and help us keep enough carts available for everyone to shop. The Checkout process is streamlined such that you don’t have to drag your cart to the registers! When you are ready to checkout, simply get a tally ticket prepared by anyone wearing a blue apron – these folks will be located at tents beside the retail building. Once your tally sheet is complete, your cart will be taken to the loading area and you will be handed a numbered bin card that corresponds to a loading bin. Take your tally sheet through to the good folks at the register & pay. We accept cash, checks, all major credit cards. Plants and More! 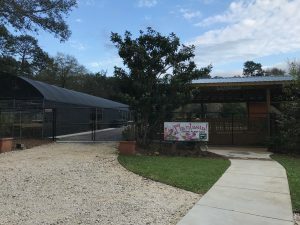 In addition to a great selection of plants to choose from – you can also purchase Shore Acres Soil Mix, Worm Castings, and Longleaf Pinestraw bales. Once you’ve paid, & you’re ready to go, proceed to your car (ride the shuttle or walk) – then drive your car through the loading lines to have your plants loaded from the numbered bin.